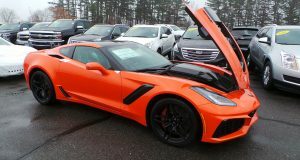 2018 Corvette ZR1 Test Mules Takes a Bow for the Camera - MacMulkin Corvette - 2nd Largest Corvette Dealer in the World! 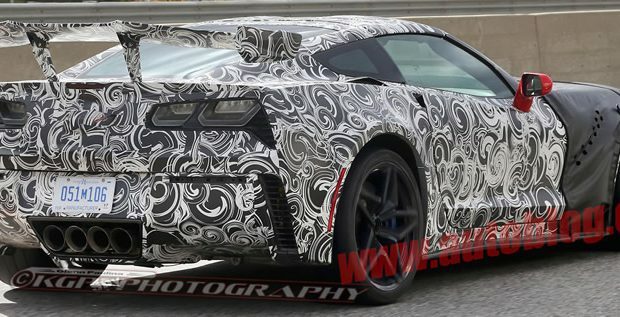 The spy shots of 2018 Corvette ZR1 test mules with different rear wings continue to pour in from around the country and these are some of the best ones we’ve seen. The first thing you’ll notice is that massive rear wing on one of them and how high it sits up behind the rear hatch. We can’t help but wonder how this could impede rearward visibility. We also noticed that this is the first time we’re seeing a coupe with the smaller rear wing which we’ve only seen on a convertible in previous spy shots. We can also see a much more pronounced bulge in the hood than the current production Z06 hinting that the ZR1’s engine will be supercharged as well, but with a significant bump in horsepower over the current Z06. What’s interesting to note here is that GM has always worked hard at reducing the Corvette’s coefficient of drag and making the Corvette as slippery though air and stable at high speeds as possible. They’ve never had to resort to using wings and spoilers on a production Corvette like Lamborghini has become known for. Clearly, whatever engine is under that hood, Corvette Engineers are planning on some serious performance from this Corvette. As we move around to the front of the car, we notice that the front grille area looks like it could be much different than the current Z06; likely to make way for larger air intakes for the engine. 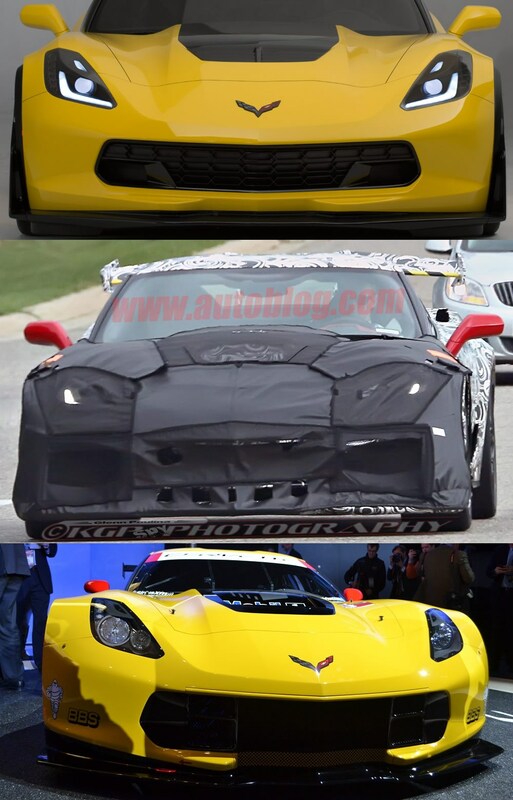 On the image below – we have a stock 2015 Corvette Z06 on top, followed by one of the ZR1 test mules and a C7-R at the bottom. It’s our belief that we’ll see some sort of unique front bumper for the ZR1 that will be a cross between the current Z06 and Corvette Racing’s C7.R race car. 2015 Corvette Z06 on top, 2018 Corvette ZR1 Test Mule in the middle, Corvette Racing’s C7.R on the bottom. We believe that the doors, B-pillar and rear wing will be composed of carbon fiber thus helping to reduce and off-set whatever additional weight could be gained from the engine and related powertrain / chassis hardware. 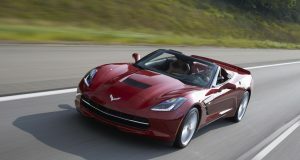 The ZR1’s curb weight will likely come in right around the current Z06 if not a little less. If that’s the case, that 7:01.67 Nurburgring lap time that the 2016 Viper ACR ripped off late last year, will be obliterated by this upcoming ZR1 and it won’t beat up the driver in the process! Head on over to AutoBlog to see all the juicy photos! For more information on the upcoming 2018 Corvette ZR1, fill out our contact form, and we’ll put you on our waiting list as more information becomes available to us! 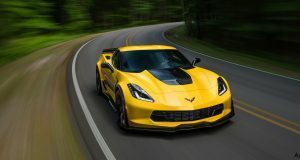 Previous: Special Order Discount – Open Allocation for 2017 Corvette Z06 Orders! Next: Find New Roads with a 2017 Corvette Grand Sport Incentive!